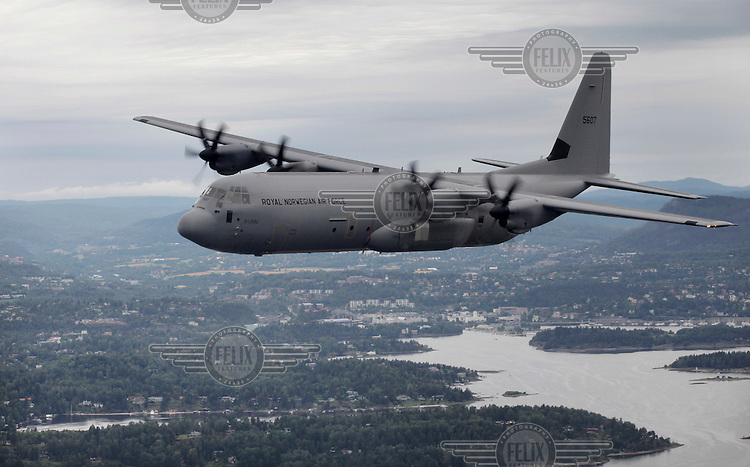 Brand new Hercules C-130J transport aircraft were officially named during a ceremony at Gardermoen Air base. Defence Minister Grete Faremo along with military leaders and representatives from the US Embassy in Oslo. Lockheed C-130 Hercules is a four-engine turboprop military transport aircraft designed and built originally by Lockheed, now Lockheed Martin, and representatives from the manufacturer were also present. Following the ceremony all the guest were taken on a flight over Oslo.